• A player can be eligible for the GDFL Hall of Fame upon being retired for a period of 2 full seasons. The player must be not on any team?s roster for a period of 2 full seasons in order to be eligible. • A player can become immediately eligible if he passes away while being an active player. The waiting period will be waived. • Any player nominated to be in the GDFL Hall of Fame must be of good character, made a positive effect on their team(s) or the league and has shown above average skill. • Any player who is not a member in good standing with the GDFL is not eligible for the Hall of Fame. • A coach can become eligible when he has not been actively coaching in the league for a period of one full season. • Any coach who passes away during his tenure as a coach will become immediately eligible. The waiting period will be waived. • Any coach nominated to the GDFL Hall of Fame must be of good character, made a positive effect on their team(s) or the league and has shown above average skill. • Any coach who is not a member in good standing with the GDFL is not eligible for the Hall of Fame. • A team or league executive/administrator may become eligible at any time. There is no waiting period. • A team executive/administrator can be a member of a team?s or the GDFL Board of Directors, General Manager, etc. Referees or other non-team members will be classified as administrative nominees. • Any executive/administrator nominated to the GDFL Hall of Fame must be of good character and must have made a positive effect on their team(s) or the league. • Any executive/administrator who is not a member in good standing with the GDFL is not eligible for the Hall of Fame. • Each person who is nominated to the Hall of Fame under a classification can only be judged on the qualities for that position. For example, if a coach is nominated for his abilities and contributions as a player, then his accomplishments as a coach can not be considered unless he has not coached for the period of time set forth in the eligibility rules for coaches. • Each person nominated will be judged on their accomplishments in the G.D.F.L. In order to nominate someone for the GDFL Hall of Fame, a fully completed Hall of Fame application must be submitted to the Hall of Fame Committee Director by email detailing why a player should be enshrined in the Hall of Fame. The league will post submission dates for applications. You must elaborate on your nominee?s quality of character as well as his contribution to the game both on and off the field. You must show the committee why your nominee is a person who belongs in the Hall of Fame over any other player in the league. It is important to emphasize that any nominee must be well rounded in his effect on the game, his team and the league. Each person nominated for the GDFL Hall of Fame will have their application presented to the Hall Of Fame Committee. That application will be reviewed by the committee and parliamentary procedure will be followed where a member must make a motion to vote on each player. Another member must second that motion before taking a vote on each person. If a player does not get a motion or a second to the motion, no vote will take place. A player may be voted on for 3 years before he is no longer eligible. As long as a player gets voted on, he will be automatically placed into the pool for consideration the following year until he exhausts his 3 years of eligibility. If a player does not get a second motion to get voted on, he is not eligible to be voted on the following year. The Hall of Fame Committee will consist of the current living GDFL Hall of Fame members and the Hall of Fame Director. Each member has 1 vote. The Director also has one vote. A majority vote is needed to be elected to the Hall of Fame. The Hall of Fame Committee will select three to six members a year. The Hall of Fame Committee can only decide exceptions. There is not set number for each year?s class but a minimum of three will be enshrined each year. The number of members accepted into the Hall will be decided prior to each year. The Hall of Fame Committee will meet once each year to vote on all nominees. The inductees will be announced on the GDFL website. Members being elected into the Hall of Fame will be enshrined at the first league meeting of the year or any special event that the league schedules. All members will be given a plaque commemorating their membership into the Hall of Fame and they will be posted on the league website. 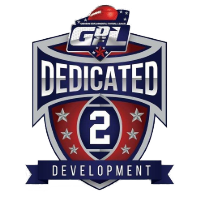 All nominations will be voted upon based on their accomplishments within the GDFL.